Black Friday has become one of the best times of the year to buy stuff. “Doorbusters” lure us in to kickstart their holiday shopping. Prepping supplies are no exception. 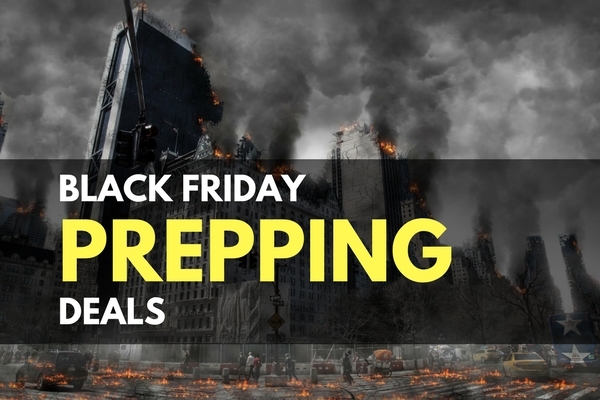 You can find all sorts of survival gear on sale during Black Friday. The downside of all this is obviously the traffic and the in-store ‘mobs’. 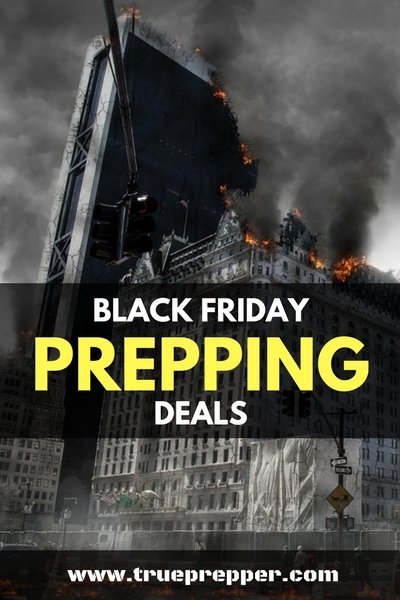 I don’t particularly care to get caught up with any of that mess, and online deals have spread out past the traditional Cyber Monday- even into Black Friday itself. If you do feel the need to go out into the insane crowds, we urge you to shop local and find good deals from the little guys. The crowds should be less, the deals just as good, and the money stays in your hometown. We scanned over all of the best survival and prepping finds and listed them out below. So if you are making a wish list or have a few preppers to buy some Christmas presents for- check them out below! If getting pushed around in mobs and fighting over electronics sounds like your cup of tea, stop at a Walmart at about 6pm on Thanksgiving to join the melee. Otherwise, stick to online shopping or better yet- hanging out with your family. Walmart tends to ‘slow roll’ its Black Friday ads to add suspense. I guess it works, because Walmart is typically known for being a madhouse the day after Thanksgiving. This year is different. Their ad was just released and they are open late on Thanksgiving day- getting it started before Black Friday is actually here. Most of the buzz this year is their $200 sale for either the Xbox One or the PlayStation 4. To accompany those, they have amazingly cheap TVs that are sure to be door busters again. I’m more interested in the sporting goods section where they have a $38 game camera, $6 booster cables, and a $20 Bushnell 1500 Lumen flashlight! They have local and regional deals this year too, so make sure to check your local ad when you visit. Field Supply lists great deals throughout the year, and is often featured in our daily deal hunts. They have all sorts of stuff, ranging from clothes to survival food buckets They buy gear in huge bulk and sell it at the best prices passing along the savings. But this year they have really stepped up the ante for Black Friday. Finding good deals for Black Friday or Cyber Monday can be fun and rewarding, but don’t lose track of the reason we are celebrating in the first place. Coming together with your family should come first, if you are fortunate enough to have them around. Let us know in the comments if you know of any other great deals we may have missed. Keep exploring, stay prepared, and be safe.